The following “Water Treatment Product Guide” provides a brief overview of well known and not so well known water conditioning and treatment technologies for both home, agricultural, commercial and industrial applications. This is the common type of softening technology promoted by companies such as Ecowater, Culligan, Kenitico, GE, Whirlpool, Sears and Home Depot. Resin based ion exchange systems create polluting salt infused waste water while removing the two most important minerals necessary for good health, calcium and magnesium. Contrary to mainstream opinions and misdirected research, problems associated with hard water are a consequence of water having been stripped of its energy due to pipes, pumps and toxic chemicals. As noted in this buying guide, water can be re-energized by a variety of beneficial structuring methods without the need to remove beneficial minerals from the water. Most of these salt based water softening systems have electrical parts which require servicing and replacement from time to time as well as the need to keep the storage tank filled with salt or potassium. This type of system does indeed eliminate mineral buildup in pipes and appliances but it also contributes to chaotic, destructured, de-energized and unhealthy water for plants, people and animals. There are salt free softener systems that convert calcium and magnesium to nanno particles which will pass through the water supply system without sticking to pipes or surfaces. The Hydro Energiser softens water using 100% natural means, returning water to it's natural state. When water is structured and activated, the minerals are no longer a nuisance and become an asset working to clean, feed and protect everything within their field of influence. Scale is eliminated in spite of minerals still being present in the water. Magnets are placed in a strategic location directly onto the pipe and require no monthly maintenance and typically will carry a ten year guarantee. The magnets ability to soften water will vary greatly depending on the size, strength, type and manufacturer of the magnets. In spite of its efficacy, magnet technology remains a dubious product with the American consumer and this is primarily due to the pervasive marketing efforts of the larger water softener companies whose residual income can be affected by these products. The Hydro Energiser works on a similar principle of magnetism but on a broader scale using electromagnetism with the difference being that the electromagnetic properties contained within the Hydro Energiser are all natural and not man-made. Consequently, these electromagnetic energies (EMF) impart a broader array of energies to the water resulting in a more benefits in regards to health and productivity for plants, animals and people. Electricity can also be used to magnetise water and the two most popular companies selling these type of systems are Easy Water and Aqua Genesis. A magnetic field is created around a water pipe using electric current. These systems come in different sizes depending on water hardness and typically carry a ten year warranty. One draw back of these type of water treatment devices is that if treated water passes through another electrical field, the water will lose the benefits imparted to it by the treatment device. Why use electricity to magnetise when magnets can do the same thing with no moving parts or electricity? Better yet the Hydro Energiser can provide a broader array of benefits for water than magnets or electricity. Additionally, Hydro Energised water is more stable and will retain its structured and energised state for a longer period of time than magnetically or electrically energised water. Water treatment and softening using minerals is a superior option to salt based and electrical systems in that more can be done to enhance the health effects of the water with minerals and mineral cartridges can also be used to correct the mineral deficiency in water caused by reverse osmosis and salt based water softeners. Treating, conditioning, energising and structuring water with sacrificial minerals is the method of choice in Asian countries but in America, the old school technologies still have a stronghold which is maintained by aggressive and slick marketing campaigns. Water People and Biocera are Korean companies that deal primarily in sacrificial mineral water treatment options. The Hydro Energiser also uses minerals to soften, structure and energise water. The difference is that the minerals in the Hydro Energiser never need replacing. Why? the Hydro takes advantage of homeopathic principles which use only the energetic signature of the minerals to impart the benefits of the minerals to the water. Identical effects are enjoyed by these mineral cartridges are also realised with the Hydro Energiser without the need to ever replace minerals. Ionised water was made popular by the Japanese who borrowed the technology from the Russians who invented the process. A water ioniser separates water into alkaline water and acid water using a process known as electrolysis which can also be defined as electrocution. Essentially it forces water into a structured state and tricks the body into believing it’s receiving pH balanced water. In order for this process to take place, minerals must be present in the water. This process is only feasible for creating small batches of water typically promoted as medical alkaline water. Ionised water has been known to have short term beneficial effects but it is believed that long term use of this water is detrimental to good health. Prices for these counter top units can range from $600 to $4,000 dollars for comparable units with the most popular brands being Kangen an MLM company, Jupiter, Tyent and Enagic. The Hydro Energiser creates safer, healthier, more balanced water which provides the benefits of both acid and alkaline water, even though the pH is balanced. Additionally, these countertop ionisers are limited in the amount of water they can produce. The Hydro can structure and energise a whole house for less cost. Distilled water is created by a process of boiling water and then condensing the steam into a sterile container. By doing so, all particulates are left behind and the result is water free of all mineral and toxic content. This water has become popular as a health water, touted for its pureness. Distilled water can be considered hungry water and may have some short term health benefits for detoxification but along with detoxification vital minerals are being extracted from the body. Structured water can be created with some distillers on the market such as the John Ellis machine. A broad spectrum mineral supplement should always be taken when drinking distilled water. Structured and energised water create by the Hydro Energiser is a better option for improving your health. These machines are beneficial if you require water for a colloidal silver making machine. Regardless, a Hydro Energiser will improve the operation of any distiller and also eliminate scale build-up. Multi-filtration cartridges filter out all particulates, heavy metals and beneficial minerals. RO systems strip the water of everything but toxic memory creating acidic water. RO systems typically have issues with bacteria growth as well in the filters and the water storage tank and need to be routinely disinfected which the customer rarely follows through with. A drain hookup is required to handle the average 30% wastewater. RO systems provide a false sense of security regarding water purity in that pure water is not the same as water stripped of all particulates. Water from a pristine mountain stream can be considered pure but it will contain all kinds of life enhancing minerals. Filters typically require replacement twice yearly and these systems are limited in use to one sink, although very expensive whole house systems are available. RO systems can be beneficial so long as a mineral replacement cartridge is part of the treatment system. A Hydro Energiser will enhance RO water by structuring and energising it and it is my belief that an RO isn’t needed in most circumstances if the water is treated with a Hydro Energiser although multiple passes through the Hydro Energiser will be necessary in circumstances where the water is highly polluted. In these kinds of circumstances, a Home Hydro, an Under-sink Hydro and a Portable would be beneficial. There are many options available for whole house filter systems on the market with some working very well and others not working well at all. There are whole house filters designed to remove just about any kind of particulates including pathogens, bacteria, iron, manganese, sediments, biofilms, organic material, fluoride, chlorine, arsenic and more. Most whole house filter systems on the market can’t take care of all issues with one filter and whole filters system can become quite expensive to purchase and maintain depending on system choice. Frequency of filter replacement is based on water usage and water quality. A quality whole filter may be good choice to supplement water treatment and conditioning depending on the water issues to be dealt with. The more popular whole house systems are Pelican, Culligan, Ecowater, Rhino, Kinetico, AquaCera and Sears. A Hydro Energiser should be installed regardless of which whole house water filtration system you choose to install for your home as none of these water treatment systems will provide water structuring or water energisation. 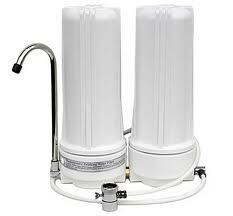 Water treatment devices are classified as either a water filter or a water purifier. A water filter must remove at least 99.99% of pathogenic bacteria. and a water purifier must remove at least 99.9999% of pathogenic bacteria. Additionally, a water purifier must be capable of reducing viruses by at least 99.999%. Berkey claims to produce the world’s finest tabletop water filtration/purifier system and they do deal with fluoride. These systems are extremely popular due to price, quality, durability and the integrity of the company. Bone char filter cartridges, activated alumina filter cartridges, distillers and RO systems are all effective in removing fluoride. Regardless of which mainstream water treatment, filtration or purification system you choose, the Hydro Energiser should take priority as the number one most important water treatment device you could install for the sake of your families health and well being. Additionally the Hydro will enhance the operation of all other systems on the market. The Hydro is an energetic filter device and it will inhibit and minimise the effects of fluoride on the body using various means such as sequestering and transmutation. Our initial trials using mainstream testing methods have indicated we can reduce the presence of fluoride in water and in the meantime our research will continue. We believe other principles are at work that mainstream testing methods don’t address. Carbon filtration is the most popular, cost effective and simplest of methods for removing contaminants from water. Carbon filters can remove chlorine, sediment and volatile organic compounds from water but are not effective for removing minerals, salts and dissolved inorganic compounds. Carbon filters will typically be rated to remove particle sizes ranging from 0.5 to 50 microns. Effectiveness of a carbon filter is also based on flow rate. The slower the rate of water flow through the filter, the more effective the adsorption of contaminants by the filter. Structuring and energising water will improve the efficiency of any type of carbon filtration system. UV lights are typically used only when well water is the primary water supply for a household. UV lights are very effective at killing harmful microorganisms including: E. Coli, Cryptosporidium and Giardia. Lights typically need to be replaced at least every two years. UV lights are very narrow in their scope of water treatment and typically well water requires more than just treating for pathogens but nevertheless a UV light will be of benefit for any user of well or bore well water. A Hydro Energiser will work to eliminate E. Coli, Cryptosporidium and Giardia. How? In the same way a UV light works which is by using light/EMF frequencies to destroy bacteria and break down organic matter. The UV light and the Hydro Energiser are both energetic filter devices. Chemical injection systems have many applications in agriculture, food processing, medical facilities, industry and rural residential water treatment. The chemical injection water treatment approach can be the most efficacious of all mainstream water treatment and conditioning systems for agricultural and industrial applications. Oftentimes a specially designed iron filtration cartridge can be used to reduce chemical use. These systems also have merit for residential use but this technology is typically promoted by residential water treatment specialists. The three most popular chemical injection water treatment systems are listed below. All chemical injection systems will operate more efficiently, requiring less chemicals when used in conjunction with a Hydro Energiser water structuring and energising unit. The primary purpose of this product is to disinfect well water. Calcium hypochlorate is safer and more effective to use than sodium hypochlorate. Sodium hypochlorate is another term for household bleach. Chemical tablets can be used in conjunction with an automatic tablet dispenser placed at the wellhead to disinfect water before it is pumped out of the well. One concern with calcium hypochlorite is that combining with organic particulates in the water can lead to the formation of trihalomethanes which are extremely carcinogenic. Additionally, these chemicals are not effective against all pathogens nor canthese chemicals eliminate iron, manganese or biofilms. There are better options. This little known product has a multitude of health and productivity benefits for animals, plants and even people and is used primarily in agriculture. A Stenner injection pump is typically used to introduce a hydrogen peroxide solution into the water supply. Hydrogen peroxide treated water injection systems are beneficial and safe for residential use, barns, chicken coops, greenhouses or other agricultural applications. Oxyblast is the primary purveyor of this product and they can be found on the internet. Chlorine is in the name of the injection chemical used in this water treatment system, but chlorine isn’t created when chlorine dioxide is mixed with water. To create chlorine dioxide requires mixing sodium chlorite with an acid. This product is sold under many names for a multitude of beneficial uses for the oil industry, agriculture, food and beverage processing, water treatment plants, rendering plants and more. For instance sodium chlorite is sold in pill form and used as a water purifier for campers or for situations when access to clean water isn’t available. Sodium chlorite is also available under different names for medicinal use for animals and plants. Under the name, Miracle Mineral Supplement (MMS), it has even been used to effectively treat and cure tens of thousands of malaria cases in Africa. Although controversial, sodium chlorite has also been used to treat a multitude of other diseases including cancer. For agricultural use, the sodium chlorite solution is created manually and then infused into the water supply with an injector pump. For residential, medical, food and beverage operations the mixing process is accomplished by automation. The chemical components are first drawn from separate containers and then injected into a mixing chamber beforeinfusing into the water supply. Unlike disinfection with calcium hypochlorite, chlorine dioxide does not lead to the formation of trihalomethanes and its applications are extremely broad. Chlorine dioxide is able to accomplish an unparalleled 99.9% kill rate for most pathogens and it is also the most effective choice for eliminating iron, manganese, hydrogen sulfide and biofilms from water. This is the product of choice for municipal water treatment plants around the world due to its lack of hazards to human health but it remains virtually unknown in American municipalities which continue to use cancer causing water treatment options. If you decide to do a search on the internet for this type of injection system be forewarned that the internet is filled sites warning of the dangers of chlorine dioxide which seems very odd considering its historically safe and beneficial use for water treatment plants globally as well as its track record of safety and effectiveness for farm and ranch use. Dupont and Bio-Cide are the major producers of this product. Chlorine is listed as a naturally occurring element on the periodic table but in nature, chlorine exists only in combination with other elements, primarily sodium, creating sodium chloride which is salt. Modern science has discovered that salt can be electrocuted, resulting in isolation of the chlorine element. On the other hand, nature has dictated that when chlorine is forcefully divorced from it’s natural relationship with sodium, they will be hell to pay. The presence of chlorine in public utility water is the number one cause of cancer in America today, (a well kept secret), yet chlorination remains the water treatment of choice for 98% of American communities and this tragic phenomena is ignored by regulatory agencies and capitalised by the water filtration industry and the health care establishment, resulting in the victimisation and impoverishment of the masses. Chlorine in its isolated state as a single element is highly reactive and toxic and when chlorinated water enters the human digestive system, (all the more so, a healthy one! ), like a magnet, it attaches itself to organic matter such as supplements, fruits, vegetables, other foods, juices and herbal remedies. The end result of a dysfunctional electrical process initiated by misguided chemists, is a toxic cocktail of cancer causing byproducts identified as mutagens. Even if you use a water filter or reverse osmosis system you are still very much at risk. Why? Because the detrimental effects of chlorine are contained within the energies (EMF) emitted from the chlorine molecule itself. The chlorine molecule is simply a carrier and transmitter of those energies. Physically removing chlorine molecules in their dysfunctional state provides some protection, but until you remove the harmful energy frequencies, (EMF) which is akin to bad code patterned into your water supply by the chlorine, you haven’t adequately removed its negative effects. Think of it this way; your computer generates information posted on the web or sent to friends but destroying the computer doesn’t affect the transmitted information. The information sent from your computer has to be dealt with separately from the computer. As the harmful information, along with the corrupted chlorine molecules are released back into the external environment they are eventually broken down and neutralised by solar (sun), stellar, (stars) and earth energies, (rocks, minerals, elements, microbes, plants & animals), that bath our environment. However, when man corrupted chlorine frequencies remain within the closed, internal system of our body, they cannot be neutralised unless adequate quantities of beneficial solar, stellar and earth energies are made available to the cells of our bodies. When combined with chlorinated tap water, even cancer fighting nutrients are converted into harmful substances. Essential disease fighting phyto chemicals and nutrients found in foods such as soy, fruits, vegetables, tea, vitamins and many other health products are transformed into cancer causing agents when combined with the chlorine in tap water. According to the U.S. Council on Environmental Quality,“Cancer risk among people drinking chlorinated water is 93% higher than those whose water does not contain chlorine.” The cancer causing agents that are produced are a concern even in concentrations so small that they are extremely difficult to detect. It only takes a tiny amount of chlorine molecules to cause damage, (researchers aren’t acknowledging the emanation of chlorine energies from the chlorine molecule). And when concentrations of phyto chemicals are high, such as in health supplements or fruits and vegetables produced in more fertile soil, the harmful synergy with chlorination actually intensifies. In 1997, scientists in Finland determined that MX, an unknown mutagen, was 170 times more potent than other known byproducts of chlorination. MX was shown in laboratory studies to damage the thyroid gland as well as to cause cancerous tumors. Chlorine also blocks iodine production in the thyroid gland thus disrupting the production of thyroid hormones. Another study conducted at the Harvard Medical School found that women with breast cancer had a 50-60% higher level of chlorine byproducts in their breast tissue than women without breast cancer. According to Gordy Jordahl, a noted water physiologist, “When showering in warm chlorinated water for just ten minutes, chloroform is absorbed, which penetrates all seven layers of the skin, destroys proteins and then enters the bloodstream six times faster than when drinking chlorinated water.” Soaking in a hot tub or swimming in a chlorinated pool causes similar effects. Dr. Robert Carlson, a highly regarded University of Minnesota researcher, states that chlorine is the greatest crippler and killer of modern times. Mainstream water filter technologies only focus on the physical aspects of toxins, ignoring the energetic effects. The most popular filter technologies de-structure water, de-mineralise water, de-energise water and do nothing to correct or eliminate the corrupted information patterned into water by chlorine, other chemicals, toxins, pipes, pumps and artificial electromagnetic frequencies such as cell phones and cell towers, AC electricity, smart meters, etc. To properly and effectively deal with organic residuals in our digestive tract which are releasing powerful carcinogens and placing our immune system in a state of stress requires a multifaceted proactive strategy combining education with determination and commitment. Why? Because the governmental, healthcare and industrial agencies and organisations that regulate and guide our lives work against reason and sensibility to make it a continual challenge to protect ourselves from the toxic world in which we live. Despite hundreds of studies proving the harmful effects of chlorine, our communities continue by law to use chlorine as their primary method of treating municipal water supplies, mandating that the vast majority of American families, drink, bathe and cook with chlorinated water. To add insult to injury the healthcare industry which should be dedicated to healing us, compounds the problem with the administration and prescription of more toxins. The first and most important course of action requires a water structuring and energising device that will neutralise and/or eliminate corrupted chlorine compounds in your water supply. This can be accomplished by introducing beneficial, natural, life enhancing (EMF) energies that have the potential to restore spring like qualities to your water. Develop a routine of daily exposure to sunlight and fresh air accompanied by an exercise routine that fits your lifestyle, avoiding the use of sunscreens which typically contain carcinogenic compounds. The sun doesn’t cause cancer but it does facilitate the release of toxins in our bodies and those toxins need to be flushed from our systems with energised water. The sun (as do all natural EMF) acts upon all life forms and environments on the planet to clean, feed and protect. Modern healthcare has it’s backwards, calling the sun, a carcinogen, while labeling toxic cancer treatments, cancer eliminators. Eat a daily diet of chemical free, preferably locally grown whole foods, grown in healthy environments and properly prepared. Our modern misunderstanding of the beneficial aspects of microbes, (resulting in the introduction of pasteurisation and refrigeration), has contributed tremendously to a continuing downward decline in the health of our families. Fermented food and beverages should be taken with every meal and it would serve our families well to become educated on the subject of food and beverage fermentation. Grounding is another important practice providing our bodies with the natural EMF energies required to offset the harmful effects of chlorine and other man-created corrupt EMF energies. Our modern lifestyle has kept us from nature and connecting with the earth. For instance, did you know that touching dirt, either by walking barefoot or in natural footwear, (not rubber or synthetic soles), or/and by working the dirt with your hands, (as in gardening), and by sunbathing with direct skin contact to the earth, is a tremendous aid bringing balance and rejuvenation to your physical, mental and emotional functions. Our modern world has provided us with many conveniences that our ancestors never knew but it has also served to sever us from many blessings our ancestors most likely took for granted, such as clean water, fresh air, chemical free foods and closeness to nature and unless we find ways to reintroduce nature as it was meant to be back into our lives, our quality of life is going to suffer tremendously and it will be even more so for our children. Greenfield Naturals is committed to providing our customers with energy products that will enhance health and vitality for plants, animals, people and their environments.